1. In a bowl, whisk the cheese and yogurt together until soft peaks and then stir in chopped chives, salt and pepper. 2. To make the dressing, mix all the ingredients together and season. 3. 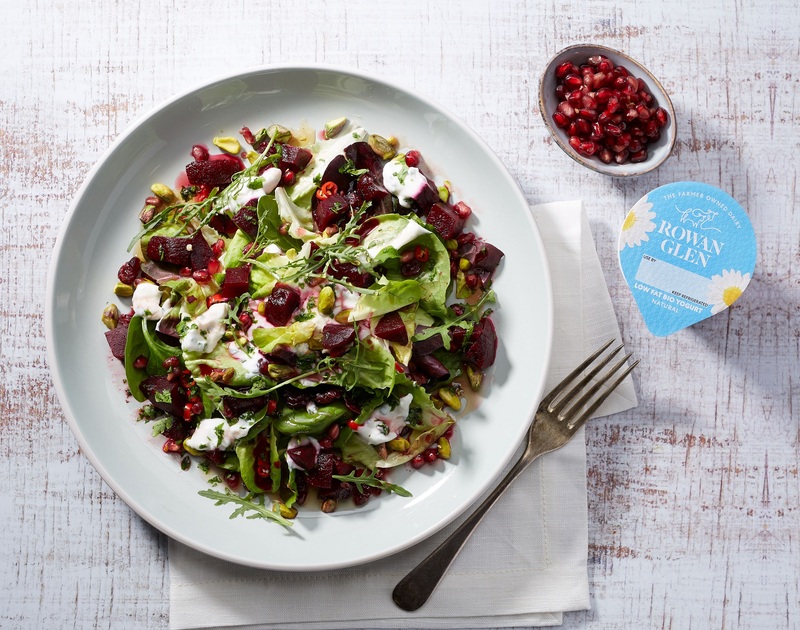 Place the beetroot, chilli, cranberries, pomegranate seeds, salad leaves, pea shoots and chopped pistachios into a bowl. Add the dressing and toss gently. 4. Arrange the salad equally onto 4 plates. Top with whipped Goats cheese and serve with warm crusty bread.